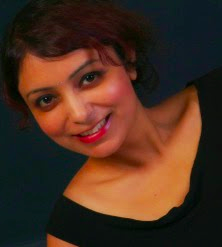 Amita Murray won the SI Leeds Literary Prize in 2016 for her story collection Marmite and Mango Chutney. She’s lived in Delhi, California, and currently lives in London. She teaches Dance Studies at the University of Surrey. This is what she would say however: "I've lived in and around London, Delhi and California and my writing is all about the comedy and confusions of personal and cultural encounters. I've danced with the Bollywood Brass Band, taught at University, written for web sites, and for two unfortunate weeks that are better forgotten tried to sell Christmas flowers. I realise that writing is the only channel for my ideas and one of the few things that keeps me from doing a mad dance around a bonfire and yowling at the moon. I love chocolate and dysfunctional families. I live in London with my young family and two neurotic cats. I love humour of all kinds, everything from PG Wodehouse and Georgette Heyer to more recent dips into Fleabag, Maria Semple and Matt Haig."